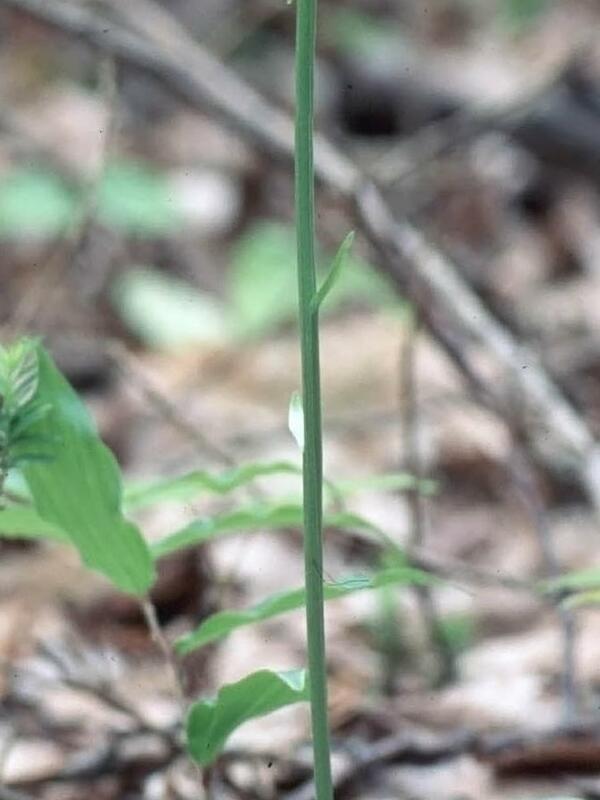 Platanthera orbiculata, commonly known as the Round Leaved Orchid, is widely distributed across northern Canada and the U.S., from Alaska to South Carolina. 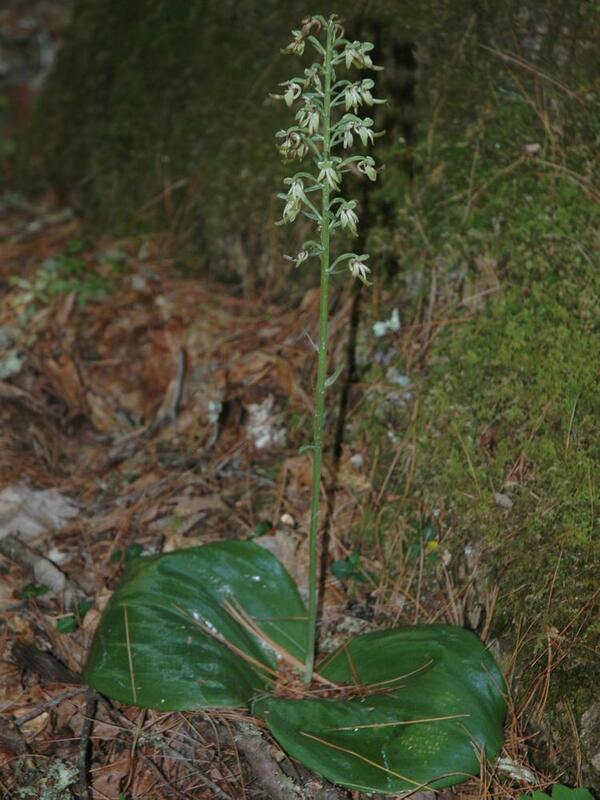 It produces two dark green basal leaves which lie flat on the ground and are often glossy. 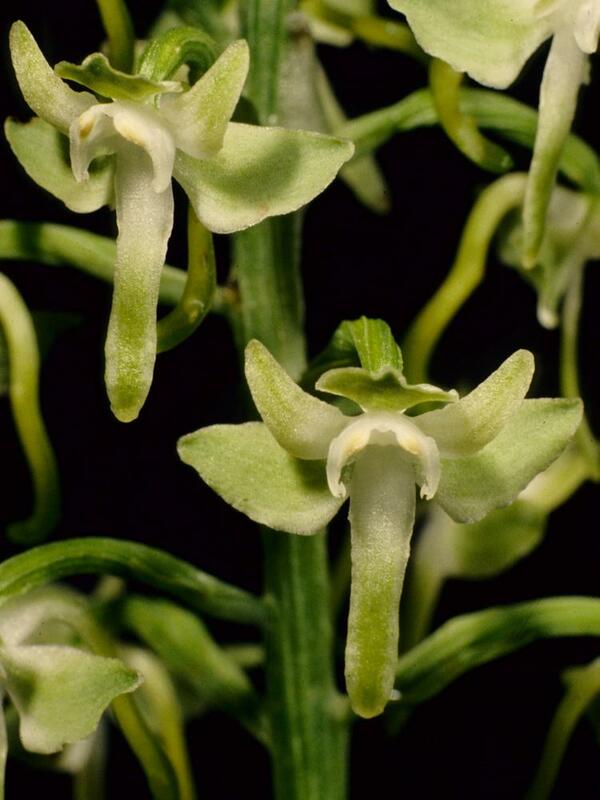 When flowering in the summer and early fall, it bears an inflorescence of up to 30 conspicuous, greenish white flowers with a linear, elongated labellum and a long spur which extends out from behind the flower. 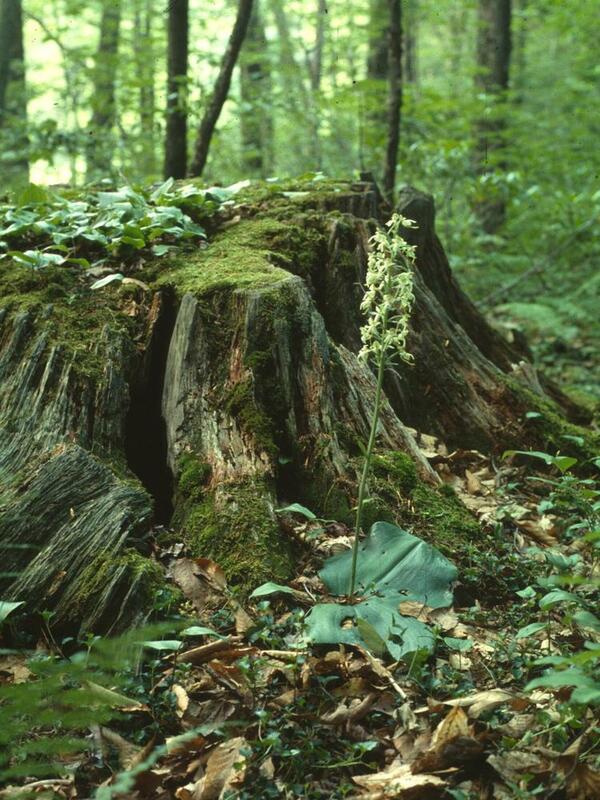 It can be found in mesic to moist forests and woodlands, either coniferous or deciduous, and occasionally in shaded bogs. 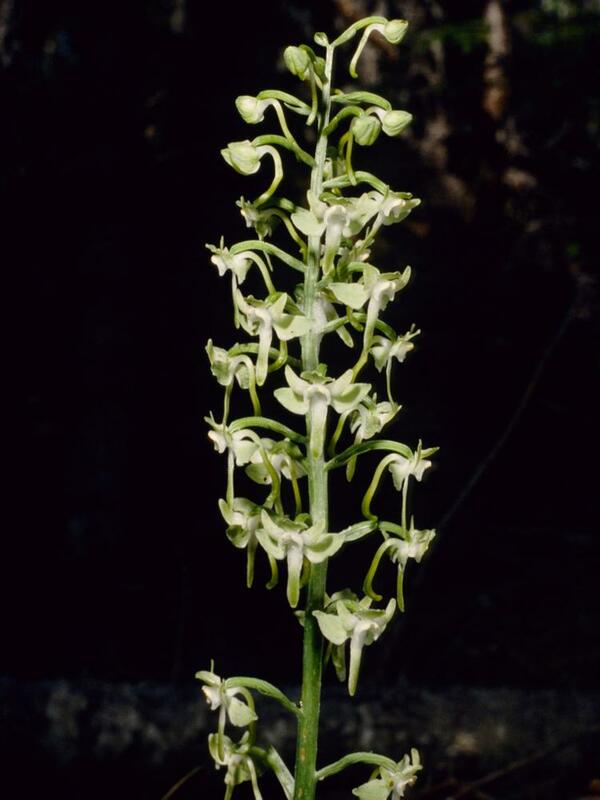 When not in flower, it may be distinguished from Platanthera hookeri by latter's absence of stem bracts. 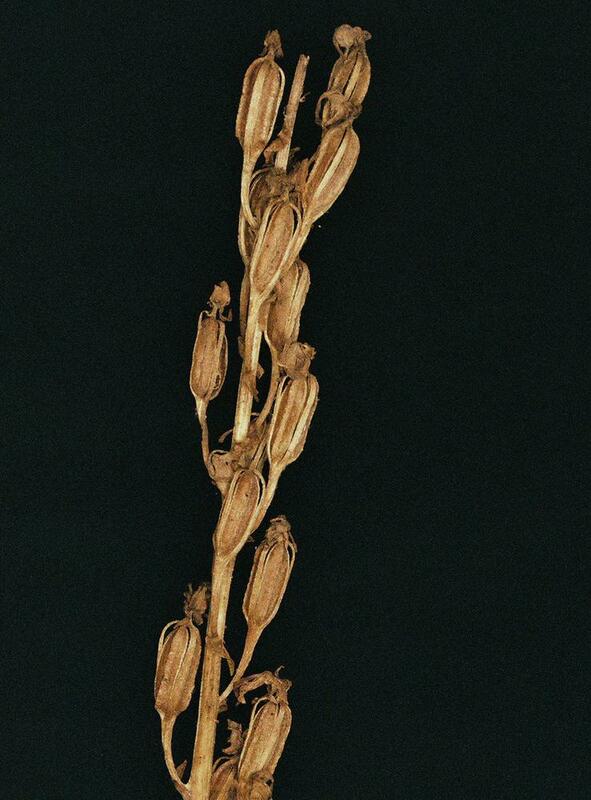 P. orbiculata is considered globally secure, although it is vulnerable throughout much of its North American range and is rare in several states. The typical variety is known to be pollinated by noctuid moths by moths such as Autographa ampla and Diachrysia balluca. 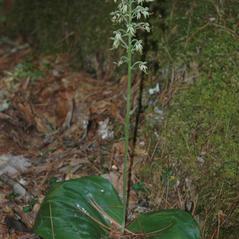 The increased length of the nectar spur of Platanthera orbiculata var. macrophylla suggests that the larger hawk moth, Sphinx drupiferarum, may be an effective pollinator. 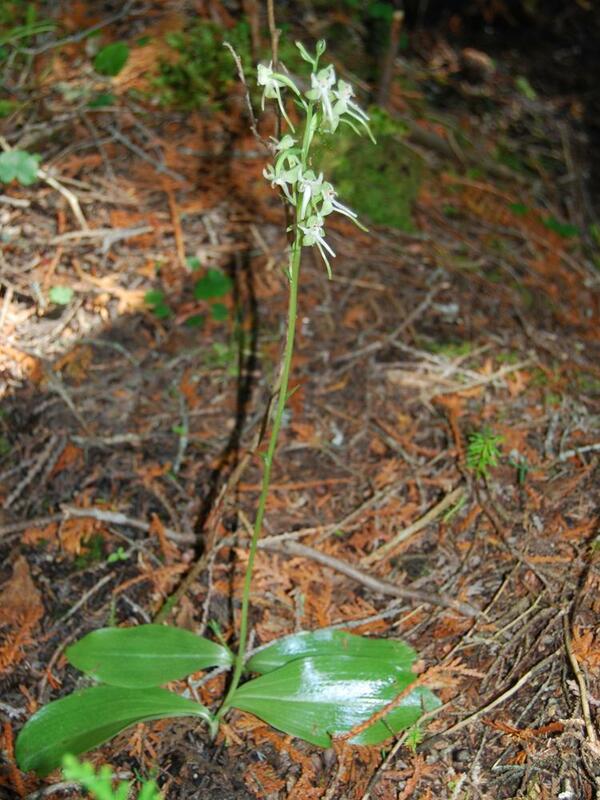 Two varieties of Platanthera orbiculata have been recognized based on the geographic distribution and relative length of the nectar spur. 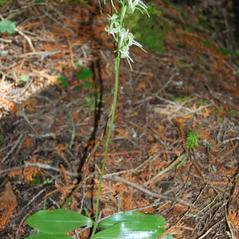 Platanthera orbiculata var. 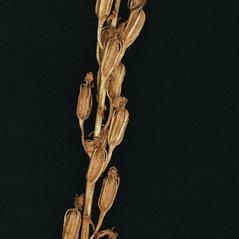 orbiculata, the typical variety, is widely distributed across northern Canada and the Great Lakes region and south to South Carolinia. 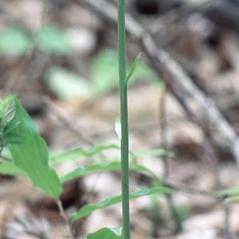 The nectar spur is slender, up to 20 mm long. 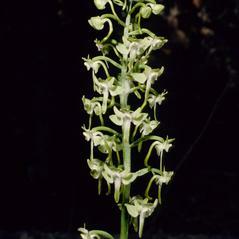 Platanthera orbiculata var. 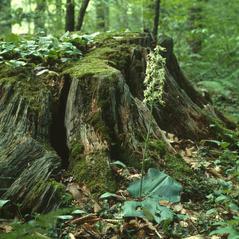 macrophylla is restricted to the northeast. 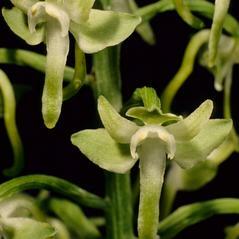 This variety is more robust with larger leaves and flowers, and nectar spurs twice the length of the typical variety.